Remembered on the Muston War Memorial, St John the Baptist's Church, Leicestershire. James Richie Furnival was the youngest son of the Rev. James Furnival (Rector of Muston Church in the late 1800s) and Mrs. Julia Furnival. They had six children, three sons and three daughters. In 1891 their daughters and eldest son were all in their twenties when the younger sons, Arthur (14) and James Richie (12) were young teenagers. Mrs. Furnival died in 1901. By that time, at the age of 22, Richie Furnival was a career soldier in South Africa. Richey was born in Muston in 1879. After leaving Grantham Grammar School he served for eleven years with the Cape Mounted Rifles in South Africa and was injured and decorated for service in the Boer War. One of the ironies of his extensive military service was that he one of only one hundred and five British Colonial Force members who received a medal authorised and personally designed by Kaiser Wilhelm II for assisting in the suppression of an armed insurrection in German South West Africa. At that time, in 1906, he was still serving with the Cape Mounted Rifles as a corporal. Such were the vagaries of colonial alliances only eight years before the outbreak of the 1st World War. A war of attrition waged by competing imperial powers, initially turning fire power on themselves in Europe in contrast to subjugation, enlargement and defense of global territorial claims. Emigrating as a farmer to Western Australia in 1909 he volunteered on the 7th September 1914 to serve with the 11th Battalion Australian Infantry Force. His military experience led to rapid promotion to the rank of Sergeant on the 29th October 1914 (H Coy, No 16 Platoon). The 11th Battalion was one of the first infantry units raised for the Australian Imperial Force during the First World War. 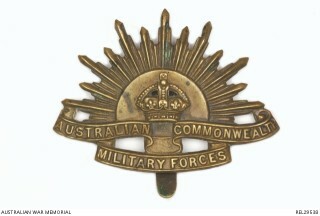 It was also the first battalion recruited in Western Australia. With the 9th, 10th and 12th Battalions it formed the 3rd Brigade. Within weeks of the declaration of war in August 1914 Richie Furnival had embarked for overseas with his battalion after just two weeks of preliminary training. However, as a seasoned soldier he could relay on his previous experience of active service to see him through. Richie Furnival’s promotion to the rank of Sergeant in Egypt was achieved during a period of further training in preparation for the Gallipoli campaign in the Dardenelles. That training ceased in early December. None would have imagined the historical significance of the failed invasion of the Gallipoli peninsular. Sadly for many, as for Richie, their service with the battalion would be short lived. The loss of that campaign also presaged the eventual collapse of the empires who were prepared to sacrifice so much treasure and blood. 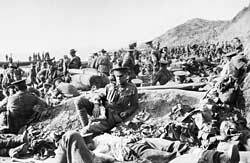 The 3rd Brigade, as the covering force for the ANZAC, was the first ashore on 25 April 1915 at 4:30 am. Even before landing their boats came under fire. On landing they were hopelessly outnumbered. The four battalions of the 3rd Brigade took heavy losses over the next five days before their withdrawal on the 30th April. The 11th Battalion suffered 369 casualties. Richie Furnival experienced barely five days of front line duty. 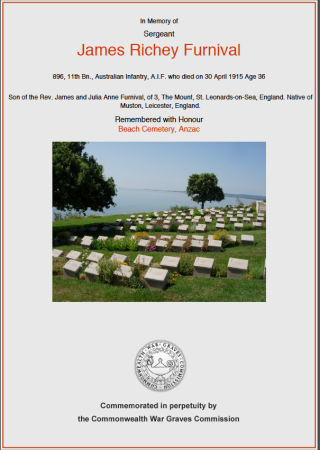 He was killed on the 30th April 1915 age 36 and is buried in the Beach Cemetery at the Southern point of Anzac Cove, Turkey. His Battalion was finally evacuated from the Gallipoli Peninsular to Egypt in December and thence to France in 1916 and the Somme offensive .